With a collective aim for superior gaming experiences, expert gamers and engineers from SteelSeries come up with a product line that aims to please customers across continents. From audio products to gaming accessories to almost everything else you might need, you find it at SteelSeries. Firmly established in the market with a reputation for coming up with innovative thinking, its headphone series deserve special mention. Great comfort coupled with good sound reproduction makes them lucrative to gamers, as well as being decently useful for everyday use by the less rigid audiophiles. Made primarily for passionate gamers looking for a one stop solution, the SteelSeries Siberia V2 Gaming Headphones makes promises it knows it can keep. Clever engineering includes a self adjusting tensor-mechanism incorporated in the headband to give an automatic fit, flare for style allows an array of colours to choose from while innovative thinking incorporates a cleverly hidden microphone behind the left ear cup; all this to produce one of the best over-ear headphones in the market. 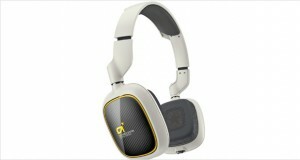 An improvement from its precursor model, the headphones come with a warmer soundstage and better designing. The SteelSeries Siberia V2 Gaming Headphones comes with generously padded leather earmuffs that have inbuilt noise-dampening technology, allowing for passive noise-dampening, making the headphones one of the best noise-cancelling headphones for the purpose. Crafty engineering makes The SteelSeries Siberia V2 Gaming Headset an instant favourite for the buyers. From an assortment of colours that allows for the whims of even the most finicky customers, to the lightweight design that makes prolonged use comfortable for the avid gamers, the Siberia V2 headset takes care of it all. 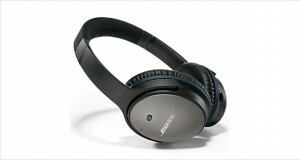 The fairly big closed-back headphones come with very snug ear cushions supplied with noise reducing technology. The build is solid, with adjustable headbands that serve the dual purpose of holding the earcups together as well as providing a comfortable fit for different head sizes. Detachable cord makes the device flexible for use. The carefully stowed away, retractable mic is a cool feature that comes handy during AFK moments. Dimensions10.6 x 9.4 x 4.7"
Build is solid and meant for active use by pro gamers. 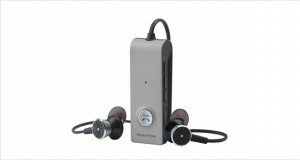 Microphone quality is also durable, and input is exceptional. The suspension headband makes the headphones virtually lightweight. The large earmuffs offer a comfortable fit, but prolonged use in hot and/or humid weather may lead to heating around the ears. The treble is crisp; sharp screams are immaculately reproduced. A clear midrange is the strength of the headphones. Bass is low in definition, adequate enough to deliver the soundtrack and rumble of explosions and thunderstorms. 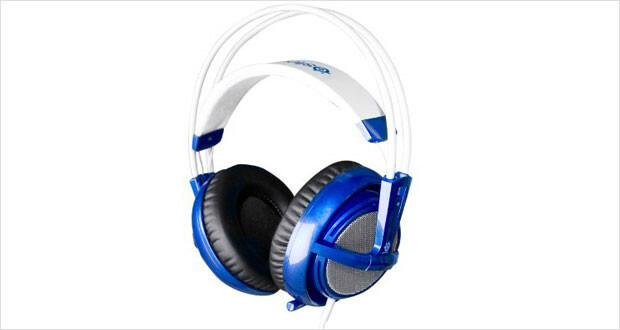 The ear cushions come with noise-dampening technology that passively filters out ambient sound to a decent extent. The headphones are sharp enough to produce details of the movements of opponents, sounds of explosion or that of incoming bullets. Screams, shouts, wails and grunts can be heard distinctly and the soundtracks come through with clarity as well. The SteelSeries Siberia V2 Gaming Headset delivers what it promises; the perfect accessory to an avid gamer bent on making most out of the game. Clear in-game sound reproduction lightweight build that allows long hours of usage and decent noise cancellation that subdues incoming distractions makes the headphones score high on desirability quotient. It might not be at par with standalone audio-only headphones, but the SteelSeries Siberia V2 Gaming Headset is definitely worth a try for anyone looking to satisfy their gaming needs within affordable price ranges.